Hall of the Mountain King: Review: Beasto Blanco, "Life Fast, Die Loud"
The album starts with the instrumental “Il Nostro Spirito,” which is pulled straight from a spaghetti western soundtrack. From there, things really get charged up with the eponymous track “Beasto Blanco.” It’s a driving rocker with just a few industrial overtones that would have been right at home on White Zombie’s Astrocreep 2000. It’s got a hell of a hook and Calico Cooper’s slightly crazed shouts on the chorus give the song a manic edge. It’s a good way to get the record started. The Zombie influence continues on first single “Breakdown,” another grooving, electronic-laced rocker that prominently features Calico Cooper’s manic shouts again. While some may knock it as a Zombie rip-off, it’s actually a better tune than anything Zombie has done of late. It’s really good stuff. The charging industrial beat of “Motor Queen” is another high point in the Zombie-inspired portions of the album. There’s perhaps just a touch of Ministry in that main riff. “Bloodshot” is one of the more Alice Cooper-inspired hard-rockers you’ll find scattered throughout the album, though Garric’s gruff vocals will still remind the listener of Rob Zombie, and “Freak” could have come right off of one of the recent Cooper albums that Garric has worked on. There’s a taste of Alice in pretty much everything here, even the tunes that sound like they should be on a Zombie record, though that’s not really surprising either, considering that Alice is one of Zombie’s primary influences. One of the strongest tracks on the album, though, blends both influences with a few stranger ones. “California” is an interesting, trippy kind of tune. Garric’s vocals again will make you think about Zombie, but the song itself is a bit of a stranger piece, touched by just a bit of Red Hot Chili Peppers and maybe a very slight flavor of the Doors — beyond the obvious tribute to Jim Morrison in the lyrics. “Beg to Differ” actually shows a bit of Motorhead worship. 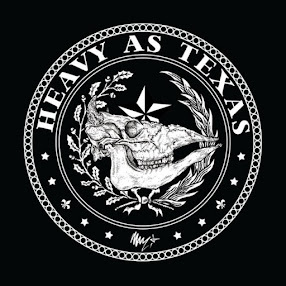 It’s an old-fashioned, straight-ahead hard rocker in the vein of Motorhead’s classic “Ace of Spades,” and Garric tries out a bit of a different vocal approach, still that gruff style, but more of a shout. That returns on album closer “No More Man,” which blends a bit of the Cooper influence with some Motorhead. 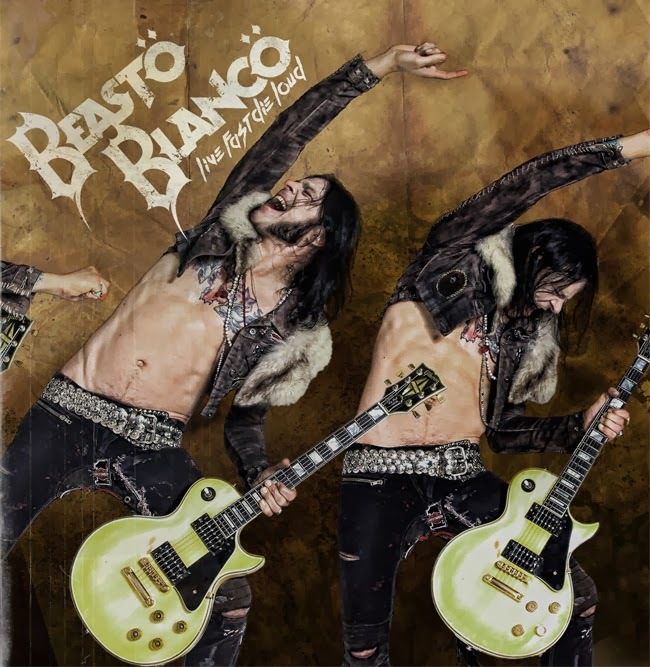 While they definitely won’t qualify as the most original band you’ve heard — the White Zombie, Alice Cooper and Motorhead influences are worn on their sleeves with no attempt to disguise them — Beasto Blanco does deliver a fun and catchy record with some great tunes. Derivative? Absolutely. But Live Fast, Die Loud is also one hell of a good time.